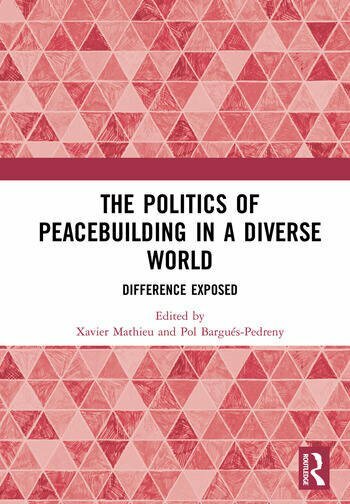 This book challenges the understanding of ‘difference’ in the field of peacebuilding and offers new ways to consider diversity in the context of international interventions. International peacebuilding as a practice and academic field has always been embroiled in the ‘problem’ of difference. For mainstream scholars and policy-makers, local views, histories, and cultural codes are often seen as an obstacle on the way to peace. For critical scholars, international interventions have failed because of the very superficial attention given to the needs, values, and experience of the people in post-conflict societies. Yet the current proposals of hybrid peace and emancipation seem to reproduce Eurocentric lenses and problematic binaries. Differently inspired by feminist, post-structuralist, and new materialist perspectives, the authors assembled in this volume give sustained attention to the theorisation and practice of difference. Taken together, these contributions show that differences are always multidimensional, non-essential, and are reflections of broader power and gender inequalities. This book thus makes a major contribution to the field of critical peacebuilding by revisiting the ‘problem’ of difference. This book was originally published as a special issue of the Journal of Intervention and Statebuilding. Xavier Mathieu is a Teaching Associate at Aston University, UK. Previously, he was a Postdoctoral Fellow at the Centre for Global Cooperation Research at the University of Duisburg–Essen, Germany. His research interests include the theory and practice of sovereignty, peacebuilding, civilisational politics, and the theorising of ‘difference’ in international interventions. Pol Bargués-Pedreny is a Research Fellow at the Barcelona Centre for International Affairs, Spain. He has developed an interest in the intersection of philosophy and international relations. His work critically interrogates international interventions and perspectives on resilience, hybridity, and social critique. He is author of Deferring Peace in International Statebuilding: Difference, Resilience and Critique (2018).